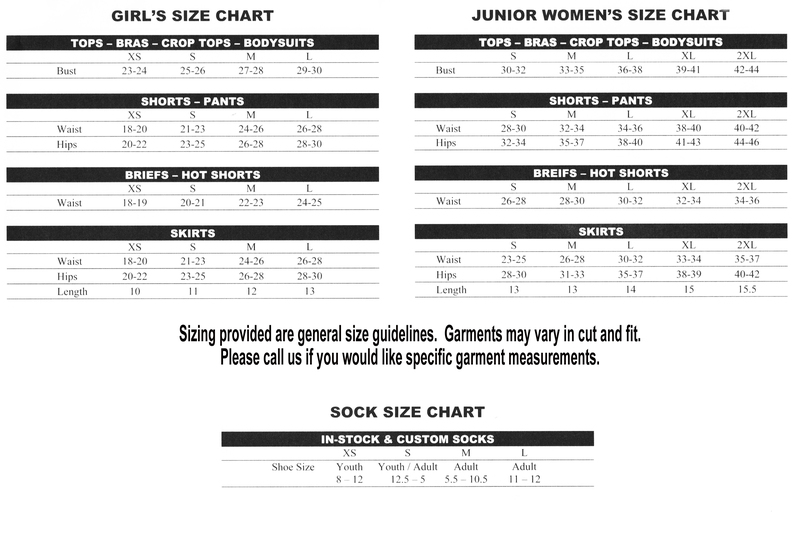 Size chart 90% Cotton / 10% Spandex. 80% Polyester / 20% Spandex waistband. Features a 6" zebra glitter roll-down waistband. 3" inseam.